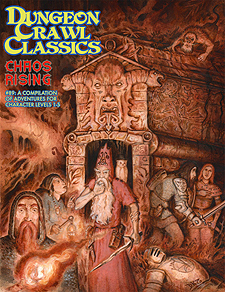 This compilation collects seven DCC adventures previously published in hard-to-find other editions. Each short adventure is suitable for a single session. Collectively they provide adventurers for characters up to 5th level!